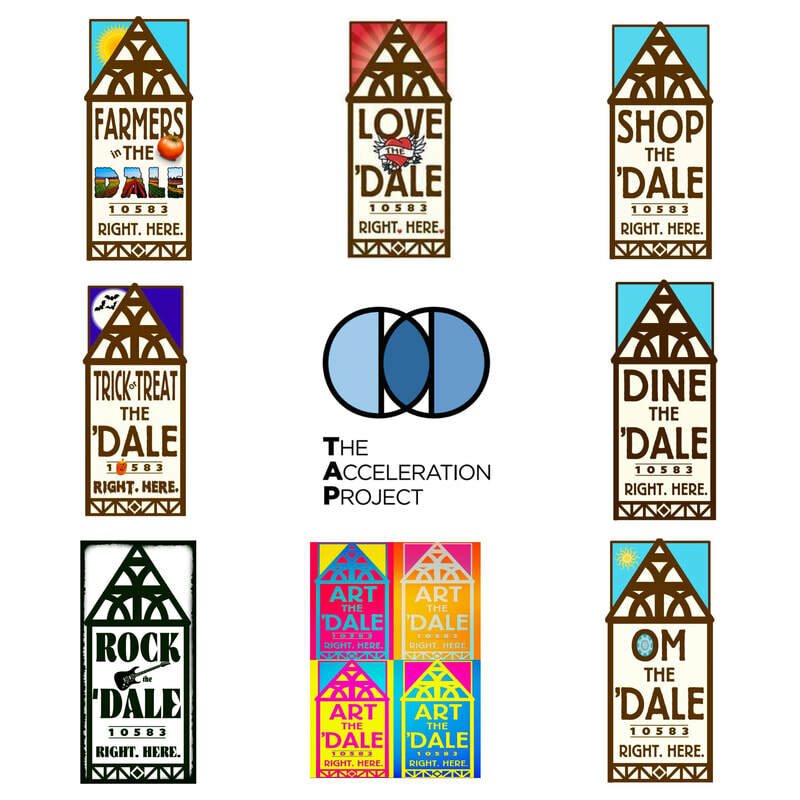 The Acceleration Project (TAP), in conjunction with the Scarsdale Chamber of Commerce, launched a Buy Local effort to support local small businesses. This innovative and collaborative initiative was set in motion with the goal of driving more customers to Scarsdale businesses and educating stakeholders on their role in enhancing the vibrancy of Scarsdale’s retail hubs. This unprecedented local effort involved the participation of over 19 project consultants including market research specialists, advertising executives, small business experts, and interns. Over 2400 hours of work were donated over a nine month period. The outcome was a thorough analysis of local consumer and business behaviors and perceptions and detailed recommendations for an awareness campaign to underscore the importance and value of supporting local business. The original marketing campaign consisted of Shop the 'Dale and Dine the 'Dale logos to underscore the importance and value of supporting local business. Since then, numerous iterations of the original logo have been created to support local events.